CALIFORNIA – Yahoo Inc YHOO.N is set to put together a new shortlist of bidders for its core internet assets after several parties, including Verizon Communications Inc (VZ.N) and AT&T Inc (T.N), made second-round offers, people familiar with the matter said. In a boon to the prospects of AT&T and other bidders in the auction, Verizon’s offer was at the low end of those received, despite the synergies it could benefit from thanks to its ownership of media unit AOL, one of the people said. Earlier on Thursday, CNBC reported, citing sources, that Verizon’s bid of more than $3.5 billion was topped by multiple offers at or above $5 billion. It did not name the parties that made the higher offers. A group led by a founder of Quicken Loans Inc, Dan Gilbert, and backed by Berkshire Hathaway Inc (BRKa.N) Chairman Warren Buffett also submitted an offer, one of the Reuters sources said. While some buyout firms dropped out of the race over concerns about whether Yahoo’s internet assets would be viable as a standalone business, TPG Capital LP and a consortium of Bain Capital Private Equity and Vista Equity Partners Management LLC made offers, according to the sources. Verizon, the largest U.S. wireless carrier, is primarily interested in Yahoo’s advertising technology tools, and has been examining how the other assets up for sale, such as search, mail and messenger, could be combined with the corresponding businesses of AOL, which it acquired last year for $4.4 billion, Reuters reported last month. 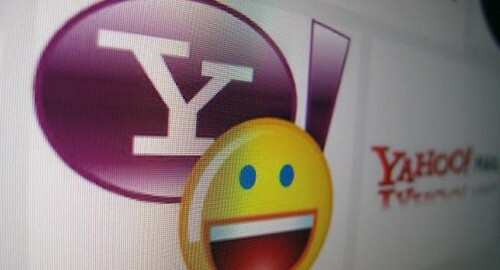 A sale of Yahoo’s internet assets would leave the company just owning a 35.5 percent stake in Yahoo Japan, as well as its 15 percent stake in Chinese e-commerce company Alibaba Group Holding Ltd (BABA.N), which accounts for most of its value.